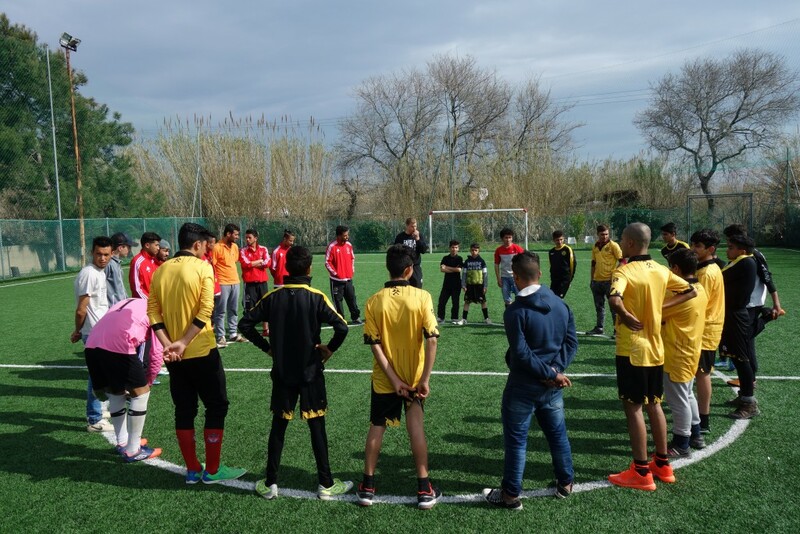 Past February Philip worked for five weeks with the UEFA football project at the Karatepe Refugee-camp in Lesvos. The Movement On The Ground foundation invited him to give an impuls to their football program. 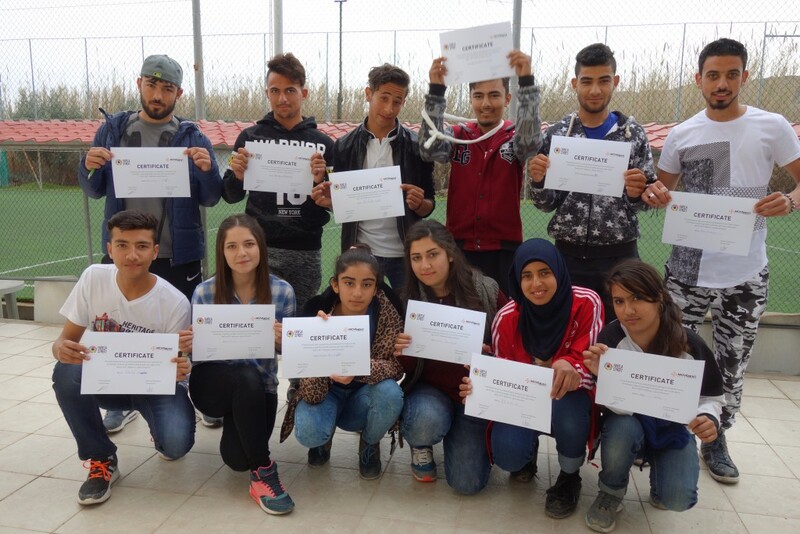 Together with local coordinator David Koning they built a team of 12 coaches who give weekly football training to over 200 children from the camp. During the workshops we shared the Favela Street story and showed them what is possible if you believe in yourself and your dreams. 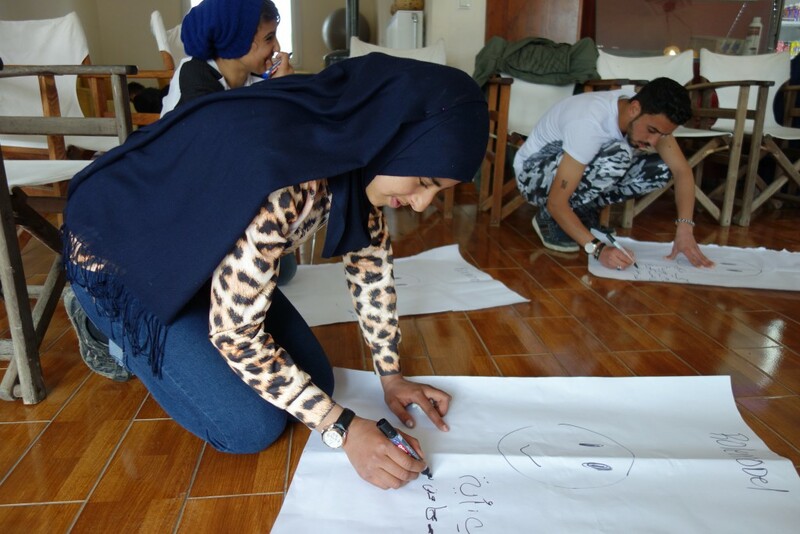 The main theme of the workshops was how to become a role-model for others. With exercises the coaches worked together on the qualities of a positive role-model and to what extent they already have these qualities. We also worked on the basic principles on how to organize a safe and successful tournament. At the end of the workshops the participants received an official Favela Street certificate. All the coaches had an important role during the tournament on saturday, coach, match table assistant, referee and care taker. 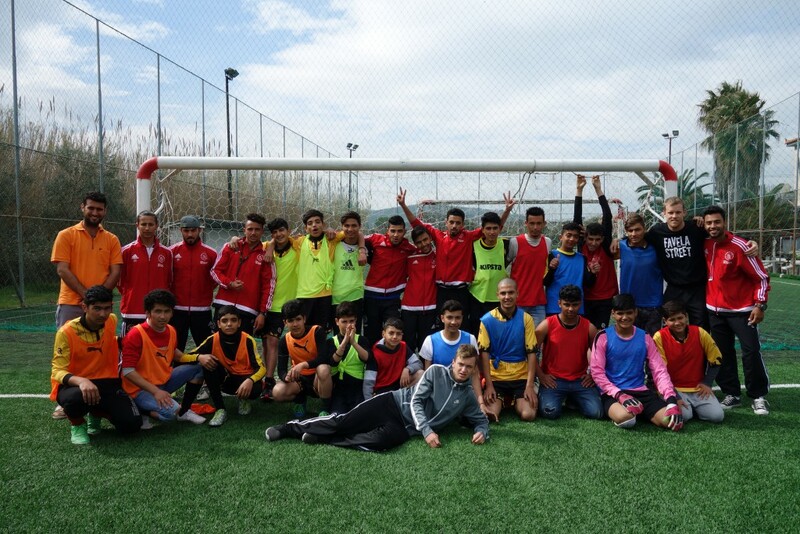 Over 20 boys and 25 girls from Afghanistan, Iraq and Syria joined in for the Favela Street tournament. 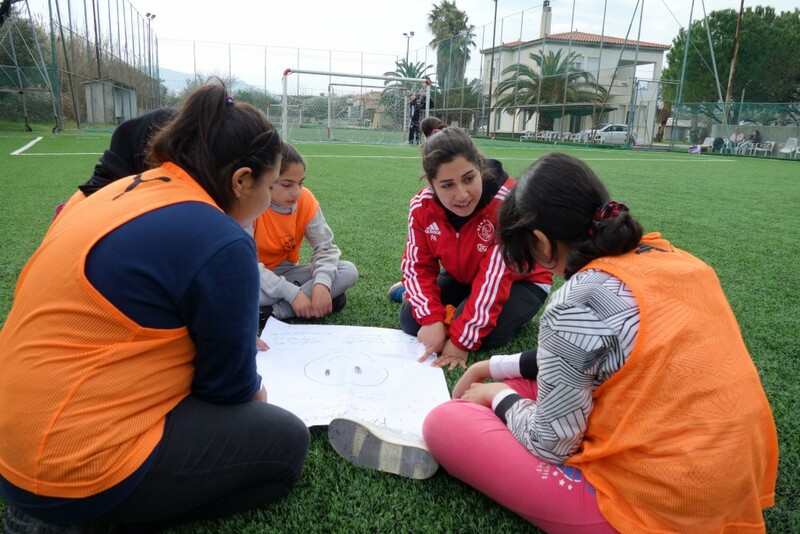 Before starting the tournament the coaches shared their knowledge about being a role model in their team with the Favela Street circle methodology. At the end of the tournament we shared a special meal together and got back to the camp. 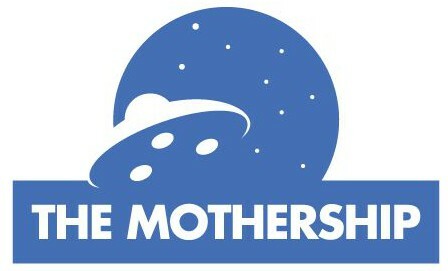 All with smiling faces and hopefully good memories for a very long time. Check out a full photo recap of the tournament on our Facebook page. 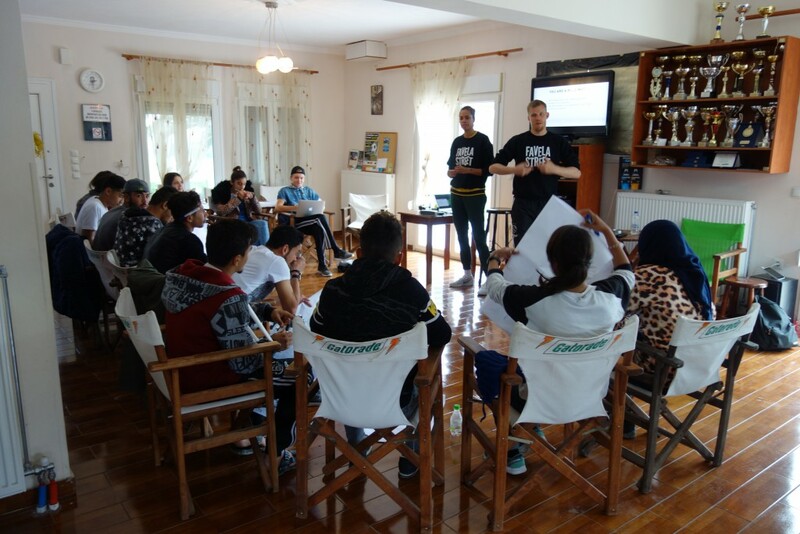 Thank you Movement On The Ground and UEFA for giving us this opportunity at the Karatepe camp, Esther Ras for your support to organize the tournament, Nikos for the great meals, Alki for helping us with the prizes and Spanos for the amazing location. And of course a special thanks to David Koning who is doing an incredible job on the Karatepe camp for Movement On The Ground.